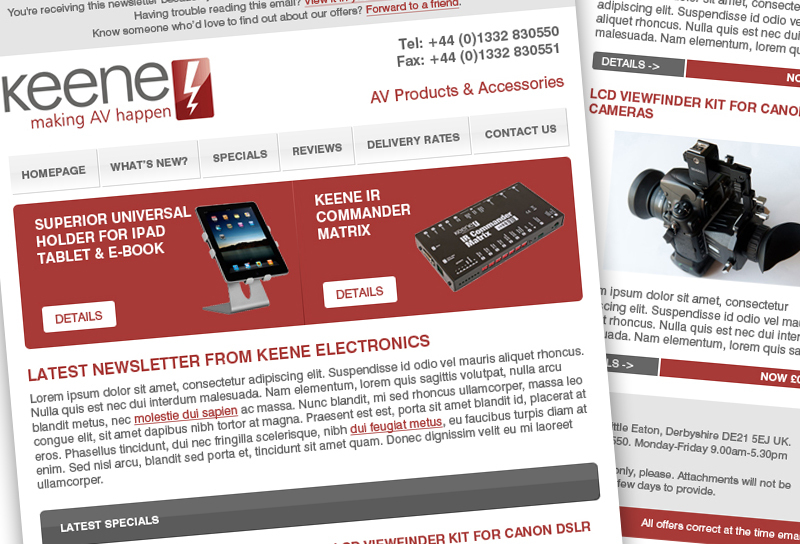 Present a professional face at all times with bespoke email templates designed to exactly match your branding. 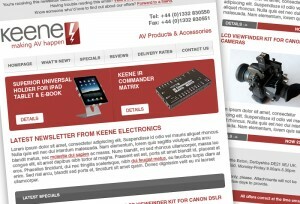 This is exactly what our designers have done for Keene Electronics. Commissioned under contract to a developer, our designers liaised with the client directly and came up with a design which they loved, but was also easy for the developer to implement. Thus ensuring that there are no surprises or disappointment when the client sees the finished product. If you’re a developer who needs a bit of help making websites and emails look beautiful, get in touch now. We’re sure to be able to provide that little bit extra which will keep your clients happy!